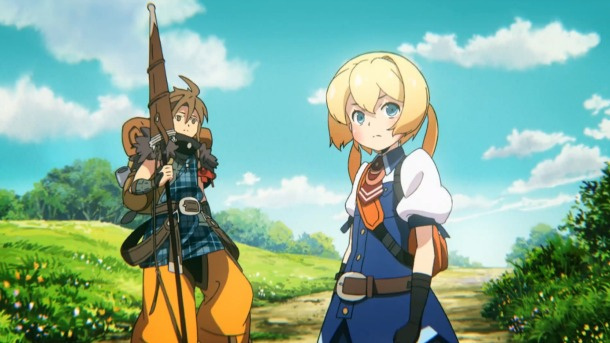 NIS America has confirmed what we all suspected: dungeon-crawling epic Etrian Odyssey Untold: The Millennium Girl is indeed headed to Europe. There's no solid release date as yet, but the publisher has confirmed that the game is coming in 2014. It has also been revealed that it will be available as a physical release as well as a digital download. A two-dungeon demo will be launched on the 3DS eShop prior to release. Is this a title you'll be picking up, Euro gamers? YES! Still need to finish off the Uber Bosses in EO4. It's good that the title won't be skipping Europe, but I'm still too busy with EO4 and Pokemon! All nice and dandy, but where's my european copy of Shin Megami Tensei IV? I haven't even had time to touch my copy yet. All I did was the demo transfer. Maybe ill play it at the one year anniversary of EO4. Seem fitting! Looking forward to SMTIV more than this, but I will definitely pick it up at some point. Can't wait! Though I've yet to even finish Etrian Odyssey IV. I guess they had to release it because it's a remake of the first game. Huzzah. that's cool. But seriously where is that damn fourth SMT game? Seriously Nintendo if you don't feel like releasing it like you said just give it to these guys, they seem to be doing the job quite well too. YES!! 2014 will be a year full of awesome games, and this one is very close to the top of my 'gotta get' list! Will be preordering ASAP. The Etrian Odyssey games are awesomeness.